My marble rolling pin need not be lonely any more. 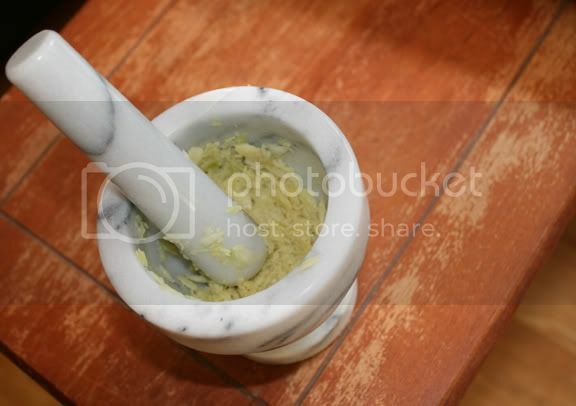 I bought this 4" mortar and pestle from Amazon. It cost about $10.00 and I had free shipping because I also bought something else, so I qualified. I used it for the first time yesterday when I revisited the Coconut Rice with Ginger, Chiles, and Lime that I posted in April. I can now see why some chefs say they can't do without. The recipe calls for minced garlic and ginger. I thought it would be nice if those ingredients were in the form of a paste instead of of mince, especially the ginger. I roughly chopped the ingredients and added them to the mortar. 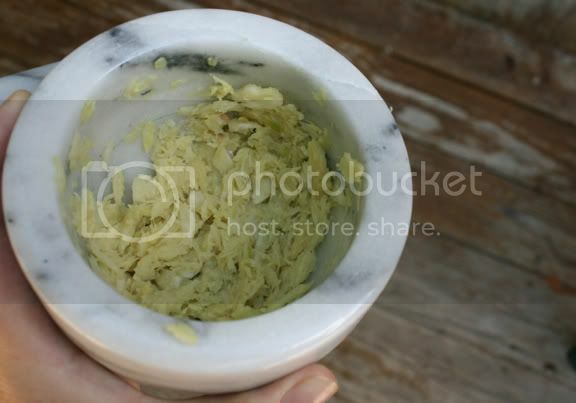 To begin to break them down, I started smashing them with the pestle. Then I used more of a grinding motion to get them to the desired consistency. Okay, I could have continued past this point. I didn't quite reach the paste, but I felt that what I had was good enough. 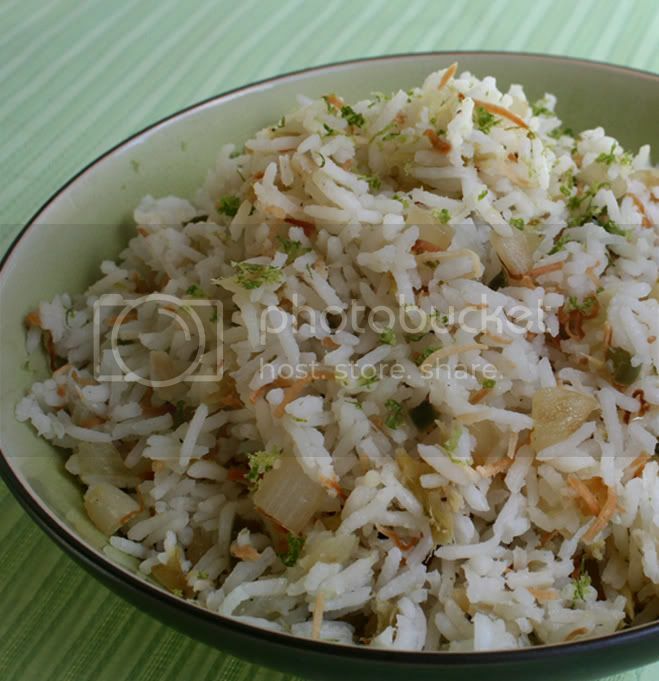 The consistency of the garlic and ginger helped them to spread throughout my rice evenly. I liked how they visually disappeared when they sauteed with the chunks of onion and the bits of jalapeño. It made for a pleasant rice experience because I didn't have to worry about biting into big chunks of either ingredient. 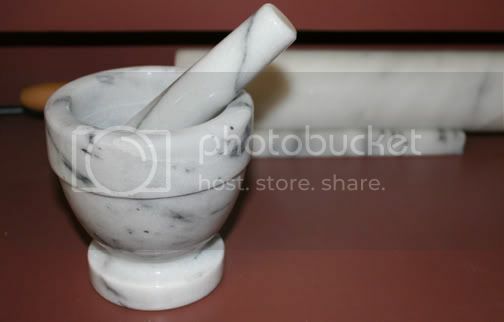 I inherited my grandmother's marble mortar and pestle. I love it. 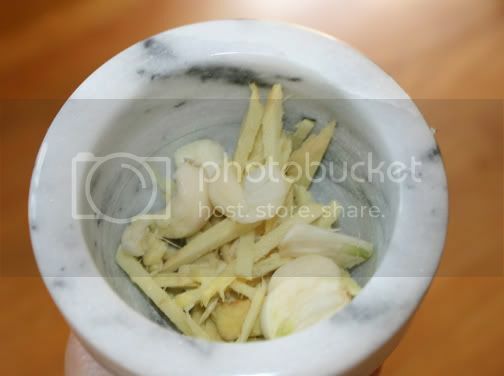 Great idea grinding down the garlic and ginger.